In January of 1981, the Sixteenth Gyalwa Karmapa gave to his heart son, the Twelfth Tai Situpa, a protection amulet with a brocade cover and said, "This is your protection amulet. In the future, it will confer great benefit." 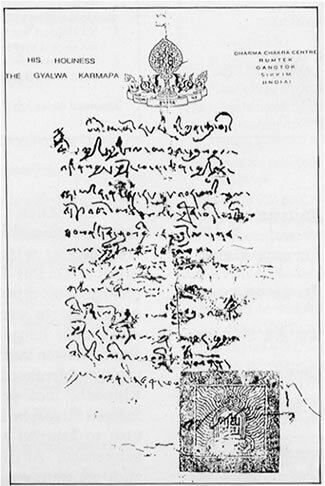 This protection amulet contained the letter predicting the rebirth of the Karmapa as Ogyen Trinley Dorje. It described unerringly the names of the Seventeenth Karmapa's parents, the area of his rebirth, and the time of his rebirth. 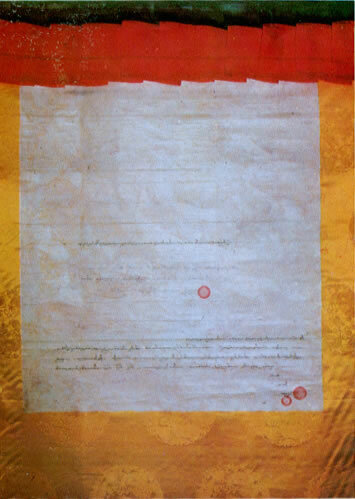 On the basis of this prediction letter, His Holiness the Seventeenth Gyalwa Karmapa was found and enthroned in 1992. 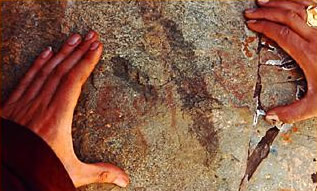 The letter was translated by Michele Martin at Rumtek in 1992. The dharmadhatu1 has no center nor edge. The method is Döndrub and the wisdom is Lolaga4. 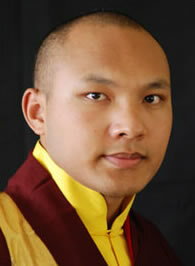 [This] is the one known as Karmapa. The sun of the Buddha's Dharma that benefits others always blazes. 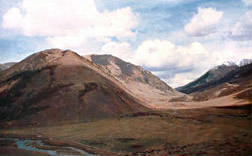 1Chos kyi dhying, the expanse of all phenomena and equivalent to sunyata or emptiness. 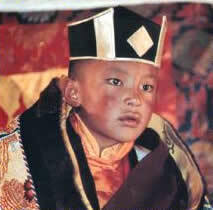 2The Seventeenth Karmapa's place of birth is Lhathok: "Lha" means divine and "thok" means thunder. In the text, thunder is poetically called "gnam chags" or "sky iron." 3The name of the nomadic community where the Karmapa was born is Bakor; "ba" means "cow," and the Dharma term for cow, "dodjo," is used in the text. 4Method refers to the father and wisdom to the mother. 5His Holiness was born in the Wood Ox year; a tree lives from the earth and an ox is used to plow it. 6This refers to the sound of the conch shell that miraculously resounded in the air for about an hour after His Holiness' birth. On July 13, 1992, Their Eminences Situ Rinpoche and Gyaltsap Rinpoche arrived at Tsurphu Monastery to meet His Holiness the Seventeenth Karmapa. 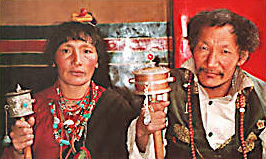 They were received in an elaborate ceremony by the upper and lower monasteries of Tsurphu, as well as by other Kamtsang monasteries in the surrounding area. 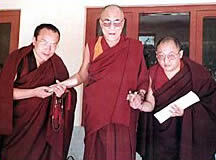 This meeting was to be their first formal one with the Seventeenth Karmapa. 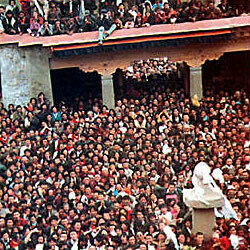 Subsequently, at the request of Tsurphu Monastery, the two Rinpoches conducted an elaborate ceremony at the Jokhang Temple in Lhasa, in the presence of the Jowo, the most revered statue of the Buddha in Tibet. The extensive ceremony began with the presentation to the Seventeenth Karmapa of gifts kindly sent by His Holiness the Dalai Lama: a kata (blessing scarf), blessing cord, and the Dalai Lama's personal mala. According to the prophecy of Guru Rinpoche found in the treasure of Chokgyur Dechen Lingpa, the name Pal Khyabdak Ogyen Gyalway Nyugu Drodul Trinley Dorje Tsal Chokle Nampar Gyalway De was offered to the Karmapa during this profound ceremony. 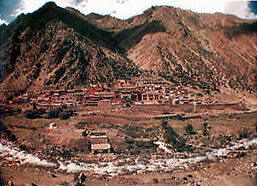 According to the wishes of all the lamas, monks, and lay community of Tsurphu Monastery, as well as the Karma Kamtsang monasteries of upper, middle, and lower Tibet, His Holiness was enthroned at Tsurphu Monastery, the main seat of all the Gyalwa Karmapas, on September 27, 1992. 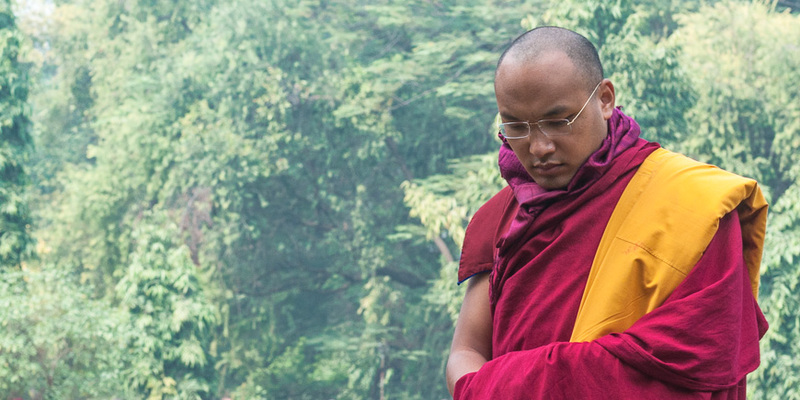 The Buktham Rinpoche, and the prediction of the Nechung Oracle were offered to the Seventeenth Gyalwa Karmapa during the enthronement ceremony. Participants in the ceremony included tulkus and lamas (or their representatives) from the many Karma Kamtsang monasteries and the main schools of Tibetan Buddhism and the Bonpo tradition; representatives from the government of the People's Republic of China and from the government of the Tibetan Autonomous Region; disciples from dharma centers abroad; and monks and devotees from all over the world.